Mother's Day falls on March the 30th, 2014. To celebrate the upcoming Mother's Day we have complied a list of our current best selling Mother's Day Bouquets and Flowers so that you can select from our range and decide on the best flower for sending to your Mum this year. Here at Clare Florist we have been busy preparing many colorful and floral bouquets in time for Mother's Day, which includes many offshore orders for people who live abroad but their Mum is here in the UK. Our select range of bouquets include a lovely combination of Roses, Freesias, Chrysanthemums and Tulips to add a smile to her face and brighten up her day. One of our popular Bouquets, our Mother's Day Bouquet is bursting full of elegant pink roses and germini, pretty Pink alstroemeria and gorgeous, long lasting chrysanthemums, and will be a beautiful feature upon a table. An ideal gift for Mum, this charming bouquet will be an eye catching sight in her home, and has a sweet scent to fill the room. This lovely bouquet can be delivered next day to anywhere in the UK, and the bouquet is carefully arranged and packed by our florists to ensure it arrives with your Mum in pristine condition. Our Spring Harmony Basket is a fantastic way to brighten your Mums day. 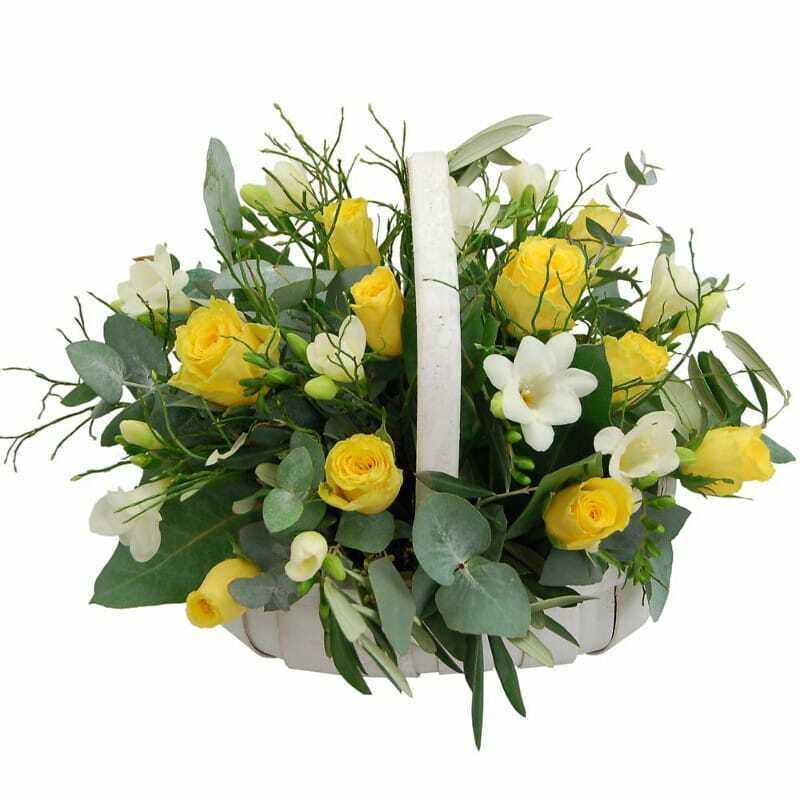 This gorgeous bouquet of lovely yellow roses and white freesias are arranged upon a green backdrop. Arranged inside a white basket for that timeless appeal, this Basket is an excellent gift that your Mum will cherish. 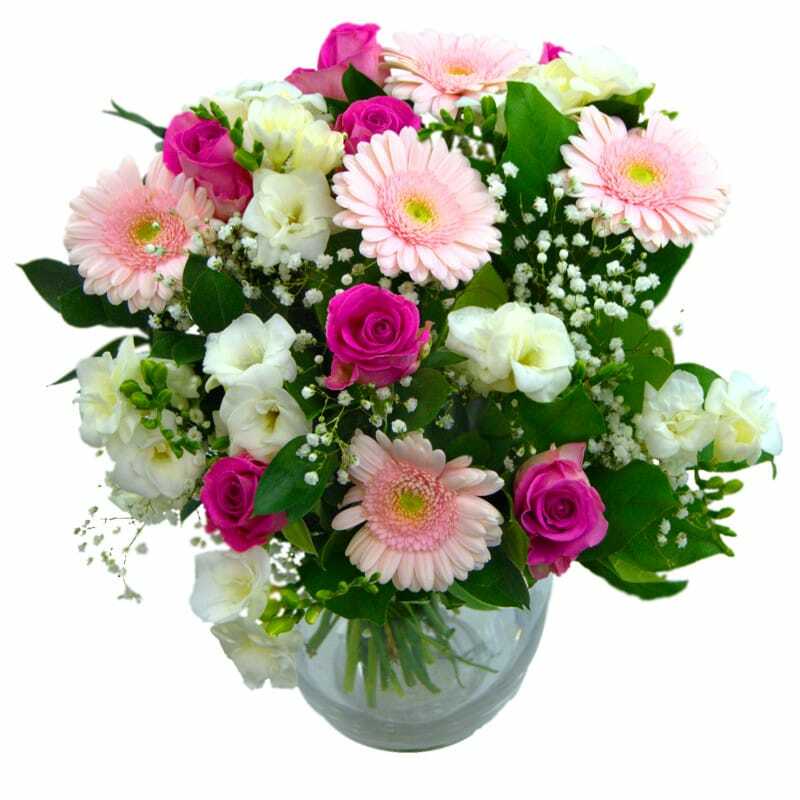 Our Sweet Mother's Day Bouquet is an eye catching collection of Pink Roses, White Freesia and Pink Gerbera to help surprise your Mum. 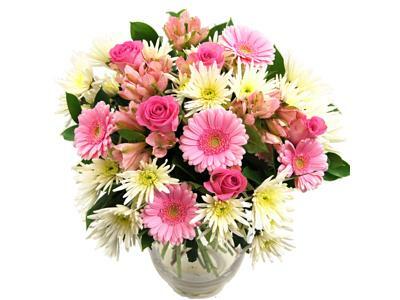 The colorful mixture of pink and white tones have been arranged by our florists to create a stunning gift.